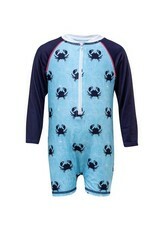 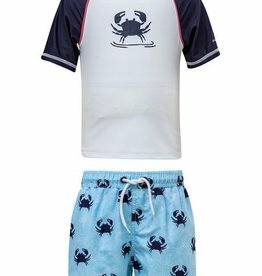 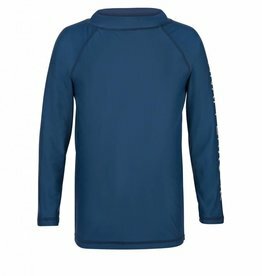 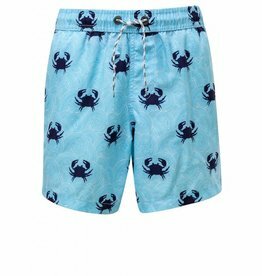 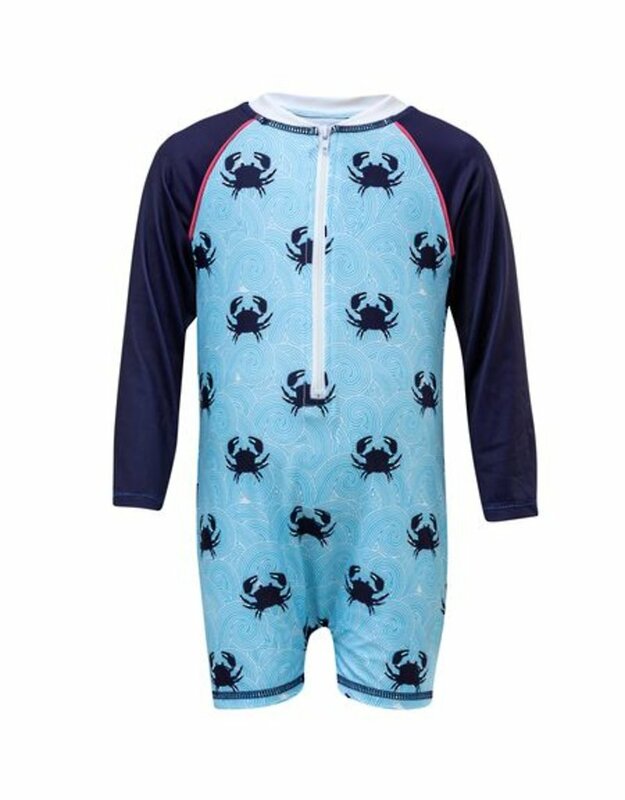 This Snapper Rock Pale Blue swirl background with Navy Blue Crabs feature on this cute long sleeve sunsuit. 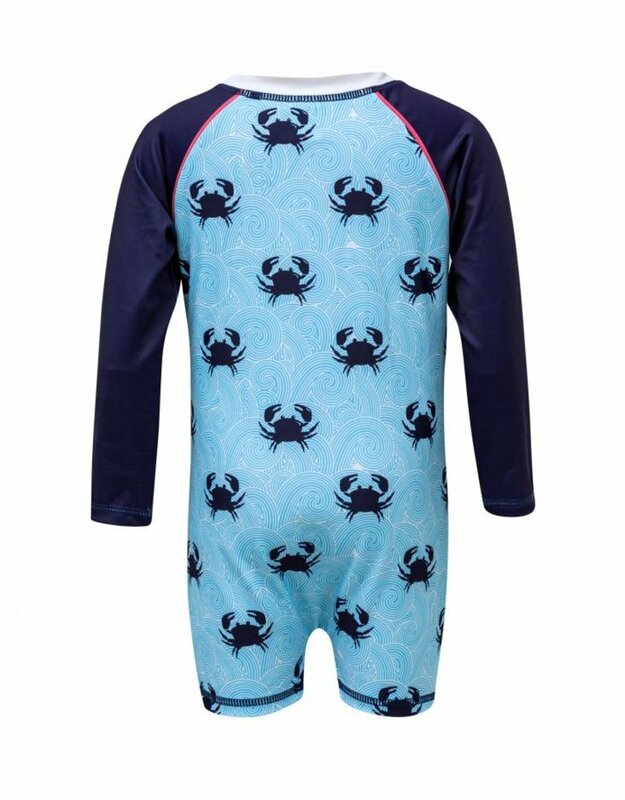 Quick drying, lightweight and breathable, our sunsuits are made for play both in and out of the water. 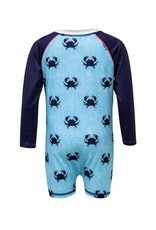 UV50+ fabric blocks 98% of all harmful UVA and UVB rays. 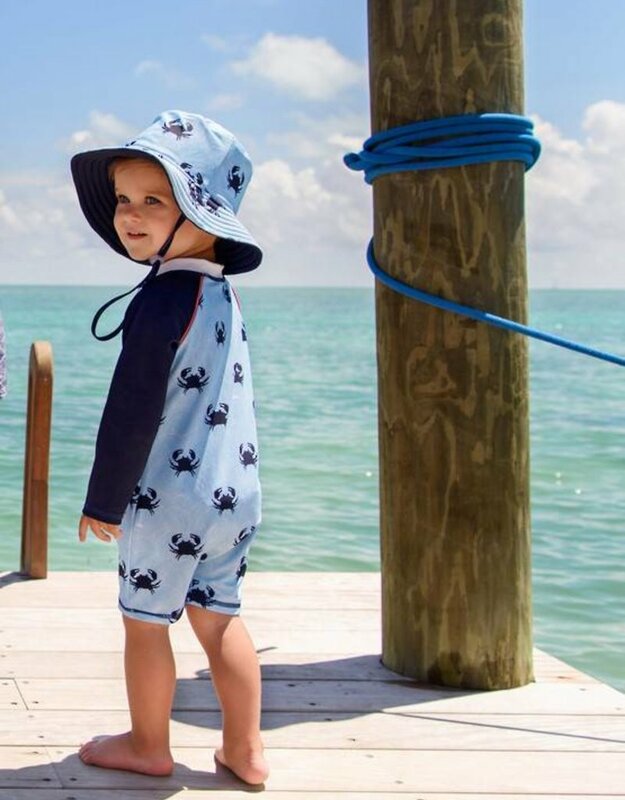 Match with our bucket or flap hat to be extra sun safe this summer.